For the first time ever, a Pakistani fighter pilot has flown a Chinese warplane during joint combat exercises between the two Asian nations. The exercises, which lasted through most of September, took place in Xinjiang, the westernmost province of China that borders Pakistan. The Shaheen-VI exercises, the latest in a series of annual joint drills between the Pakistan Air Force (PAF) and the People's Liberation Army Air Force (PLAAF) that started in 2011, happened this year between September 5 and 25. They included many firsts, according to Chinese military sources, such as live-fire target practice, night warfare, and close support operations. But the biggest news from the exercise came when Air Vice Marshal Haseeb Paracha, head of PAF's Southern Air Command, climbed into a Chinese J-11B fighter and flew a sortie as part of the exercises. This was the first time in history that a PAF pilot flew a PLAAF plane, a symbolic gesture of the tight bonds between Beijing and Islamabad. Silk Ties: Will Chinese Military Aid Replace US Support for Pakistan? "The air vice marshal was accompanied by Xin Xin, a vice-chief of staff of the PLA Air Force. This marks the first time that a Pakistani top military official has flown in China's new fighter jet," reported the Chinese military in a statement. 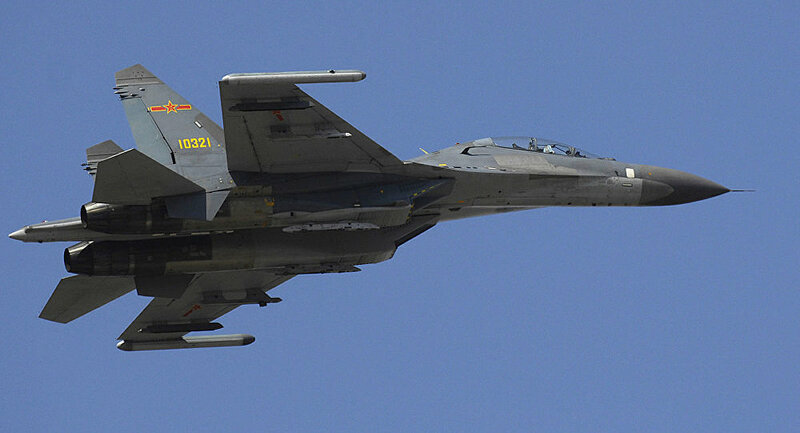 "The Chinese warplane performed acrobatic maneuvers during the flight, drawing praise from Haseeb." The exercises included Shenyang J-11 jet fighters (a modification of the Soviet Sukhoi Su-27,) Xian JH-7 fighter-bombers, and KJ-200 Airborne Early Warning and Control (AEW&C) systems from China, and JF-17 Thunder fighter jets. JF-17's are a joint project between two state-owned companies: the Pakistan Aeronautical Complex and the Chengdu Aircraft Corporation of China. Speaking on behalf of Chinese President Xi Jinping, Col Wu Qian praised the PAF and the strong alliance the exercises emblematized. 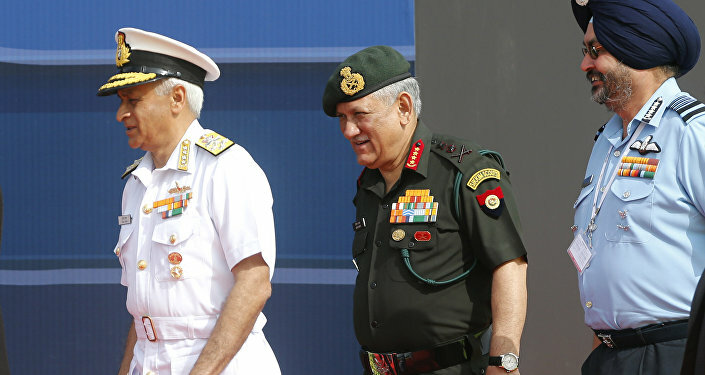 "Speaking of Pakistan, the first word that comes to my mind is 'Iron Pak'," the Colonel said in a press release, using a nickname for Pakistan that refers to the "ironclad" friendship between the two powers. "If we characterize Pakistan-China military-to-military relations," said Wu, then the three key concepts are "all-weather brotherhood, high-level mutual assistance and support, and deep-rooted strategic mutual trust." The strong expression of support comes just days after a strict condemnation of Pakistan by India, a mutual rival, during the United Nations General Assembly. Indian Foreign Minister Sushma Swaraj called Pakistan a nation whose main exports are "terrorists and terrorist camps." Swaraj specifically mentioned Jaish-e-Mohammad (JEM), a Kashmir-separatist and jihadi group with close ties to al-Qaeda and the Taliban. JEM is suspected of being the culprits behind an attack against an Indian military base in Kashmir in September 2016 that left 19 soldiers dead. China has used their Security Council veto to prevent India from classifying Masood Azhar, the leader of JEM, as the leader of a terrorist group, later compromising and allowing JEM itself to be classified as a terror organization as of the BRICS summit earlier in September. However, Beijing reassured Islamabad that this did not signify any "change in Chinese policy regarding Pakistan."